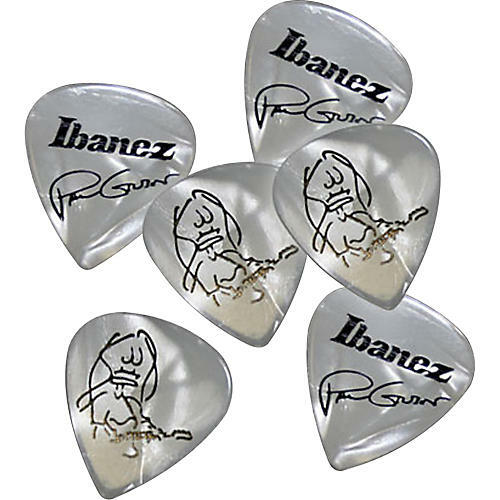 Ibanez offers picks for just about every type of player, featuring different feels, functions and looks. Then there is the signature line of picks, which, in most cases, are exactly what the artists use. The Paul Gilbert White Signature Picks 6-Pack contains original shaped picks that are what guitarists with style and speed need. They're made to Paul's specs and feature his signature on one side and a caricature of himself on the other.